The following are travel diaries by two social justice activists and retired educators on their recent trip to Vietnam. Beatrice Lumpkin is a longtime contributor to the People’s World. Pat and I were two of the lucky tourists who took advantage of a last minute price cut. We knew Vietnam would be interesting but we did not expect such lavish good treatment. That included swimming in the South China Sea at a secluded beach and eating fresh sea food scooped out of the sea just minutes earlier. Few countries are so richly endowed by nature. I can understand why the Vietnamese people fought so heroically to win their independence. 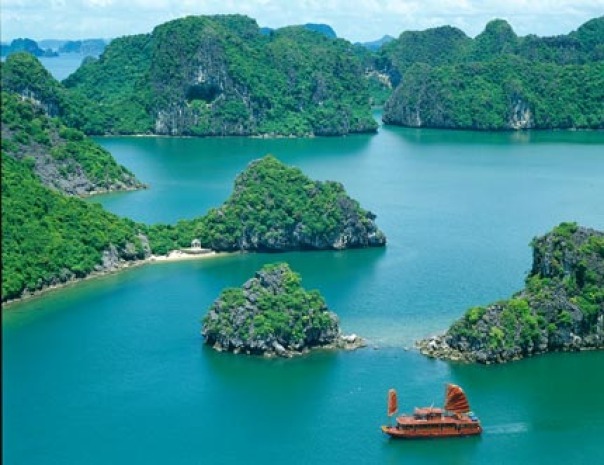 The beautiful landscapes include Halong Bay, a UNESCO World Heritage Site. The Bay is such a fantastic sight that when I first saw it in the movie, “Indochine,” I thought it wasn’t real. It looked like an imaginary movie location. Over 3,000 rugged hills were carved by the rain to form sinkholes, caves, and sinking streams. What makes Halong Bay unique is that the sea invaded the hills, making for fantastic marine beauty and rich fishing sites. Vietnam is 1,000 miles long. The eastern side of the country has beautiful beaches, stunning ocean bays and productive fishing villages. The western length of the country runs across mountains glowing with a soft green covering. Still the realities of their wars for independence are barely beneath the surface. 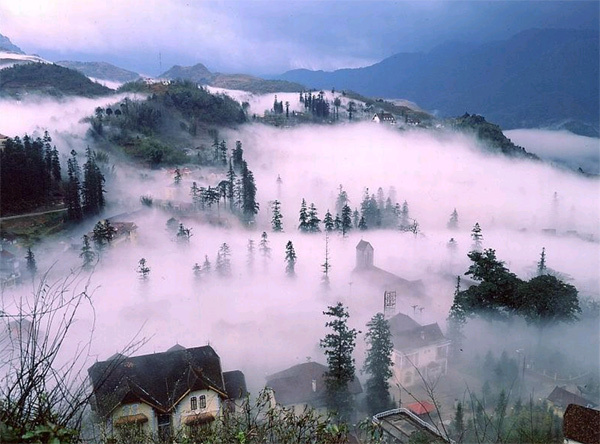 Every country has a rich cultural heritage and natural beauty, yet Vietnam seems especially endowed. The beauty of nature and its landscape in Vietnam are breathtaking and guaranteed to relax and rejuvenate. But what made the trip to Vietnam a truly treasured experience was the Vietnamese people. Was it the demonstrations of respect and kindness we received and observed around us, constantly? Was it the people’s devotion to family, reverence of ancestors and cultural traditions, great respect for teachers and belief in education as the best promise for a good future? Was it the countless expressions of creativity and style, and what can only be described as the Vietnamese people’s extreme attention to detail? Was it the richness of styles and colors, the delicateness of textures, tastes, fragrances-all complimenting each other, so carefully put together-that delighted our senses so unrelentingly? Constantly and delightfully caught off guard with so many lovely, unexpected jewels, we can never forget- the 3,000 islands of Ha Long Bay; the orchids on the tables at the tiny diner in Dalat; gorgeous Hibiscus blossoms among stacked towels for rent at the beach; and the sunrise sight of hundreds of young women across the country cycling to high school, heads high and backs straight in beautiful flowing ao dai uniforms. So many memorable experiences of our visit with the people of Vietnam, but nothing stands out more than what we heard from young and old throughout the country, time and time again-the Vietnamese people’s pride in their country and their national unity, and their hopes for the future and peace among all peoples in the world.